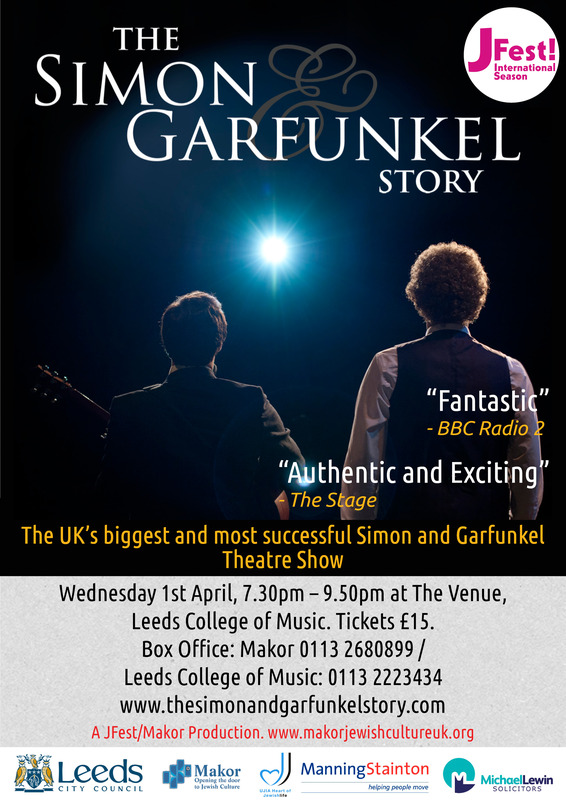 Following a Run in the West End, The Simon & Garfunkel Story Hits Leeds! Direct from it’s success in London’s West End, a SOLD OUT UK tour and standing ovations at every performance, The Simon & Garfunkel Story is back on the road and will be one of the highlights of this year’s JFest International Season! Using huge projection photos and original film footage, this 50th Anniversary Celebration also features a live band performing all the hits including ‘Mrs Robinson’, ‘Cecilia’, ‘Bridge Over Troubled Water’, ‘Homeward Bound’ and many more. Get your tickets fast as this is an evening not to be missed!